I haven’t made a decision on putting databases in the cloud. I think Amazon and now Microsoft have the write idea for cloud databases. Give people lots of options, use named value pars (AmazonDB or the old school Azure database) when it makes sence and use full blown RDBMS when it makes sence. But the big question that I have (besides pricing) is how does all this fit into the overall picture for my company or my client. Do I see a lot of large enterprises moving large parts of there environment into the Cloud? Probably not. Do I see the small/medium business moving customer facing applications to the Cloud? Possibly, it’s going to depend on the application and the business model. Do I see the cloud being a stepping stone in a eventual path to building your own data center? Very much so. Why don’t I see large enterprises moving data into the cloud? Mainly control and compliance. Large companies (and even larger medium sized companies) want to control everything about there data. They also need to be able to ensure that no one w ho isn’t authorized to view the data can’t view the data. The easiest way to do this is to own the machines that have the data. Large companies also have to have DR plans. Those plans usually can’t depend on some other company doing “Yes, it will be back up.”. I said above that I see the cloud being a stepping stone to getting your own servers and data center. The path that I see in my mind is for the small to medium business who can’t afford to setup their own servers onsite or at a colo. For them cloud computing is a great first step to let them get started and see where the application goes. If nothing happens, then there isn’t much capitol lost. If it grows like crazy then everything scales nicely (not yet sure how well and automatically the databases scale). This gives the SMB the ability to judge where the business is going to go and how fast it’s going to get there. Some applications may be able to stay in the cloud forever. Either they persist a lot of the data at the client, or they simply never outgrow the cloud. On the otherhand I see a lot of applications going from running in the cloud to moving to an MSP (Managed Services Provider) such as Rackspace, MaximumASP, etc. These guys offer the benifits of dedicated hardware, without having to shell out the massive amounts of cash up front. Over time however it becomes cost ineffective to continue at an MSP, and buying your own hardware simply becomes the correct thing to do. The trick is knowing when this is the case, so that you aren’t spending a lot of money at the MSP. Now for those that were paying attention, you’ll noticed that I skipped the point above about the SMB moving somethings into the cloud. I think this falls into both answers above. Some things will make sense to host up in the cloud, other things won’t. What do you think will happen to the cloud? Where do you see it being really useful? Will you be moving applications into the cloud at your current company, at a future company? These are questions that you’ll need to ask yourself at some point, so why not now? In these times of rapid change to the IT world (and the world in general) don’t be afraid to change your answers to these questions. The cloud isn't perfect for everything as you've mentioned; e.g. large business that require control and security. From a technical standpoint, the cloud is also probably not going to be a very good solution for any size business that deals with tons of sub 4kb files or instances where there are tons of database requests. For example, I'm currently running a few VMware servers in the cloud and they are totally being outperformed latency wise by my old dedicated machines when it comes to quick database access and small file read; e.g emails. (I wonder if i could ask to use a different file system like maybe ReiserFS) However, fortunately, I didn't change to these VMware servers because I was looking for speed. Actually, I was looking for cloud based redundancy on the cheap. Anyway, there are trade offs for sure. Nice article. Cheers. this part is really comendable What do you think will happen to the cloud? Where do you see it being really useful? 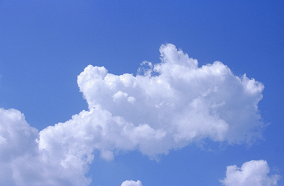 Will you be moving applications into the cloud at your current company, at a future company? The cloud based products will continue to grow as time goes on. The company I work for today has some stuff in the cloud, but our core application is a Software as a Service (or cloud) application so there isn't much more we could move into the public cloud if we wanted to.